Here’s the latest round of changes and updates that we’ve made to NaVetor veterinary software, focusing on scheduling, invoicing, and client alerts. Now when appointments are moved into the Affected Appointments area in NaVetor due to general schedule updates or changes, you will see Available Slots to make rescheduling easier. 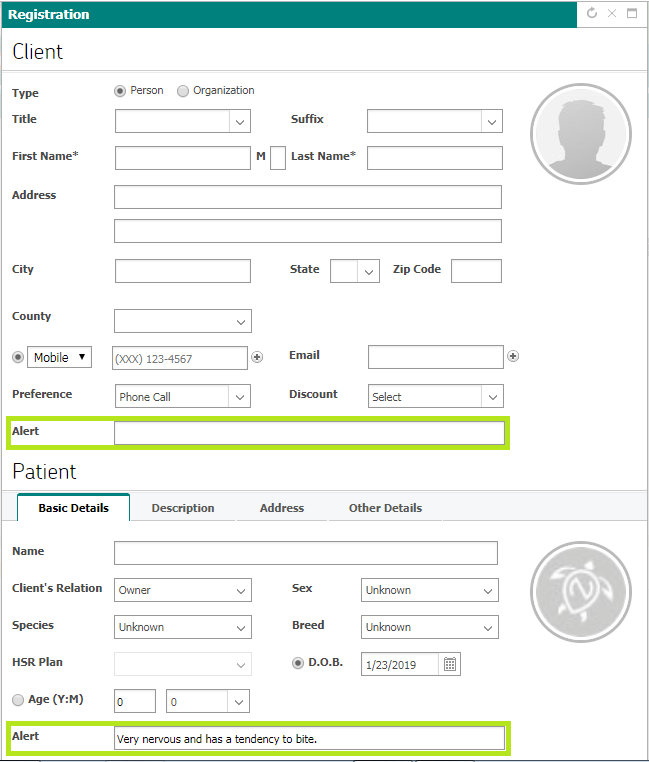 When viewing the Affected Appointments area and choosing to reschedule, the available slots displayed are tied to the Provider you have selected. Simply update the time of the appointment based on provider availability, save, and your appointment is rescheduled. Please note that the Available Slots takes Provider Booking Limits into account. If a given Provider has settings in place to allow a booking limit of three, and only two appointments are filled in that slot, it will show as available in the Available Slots area. 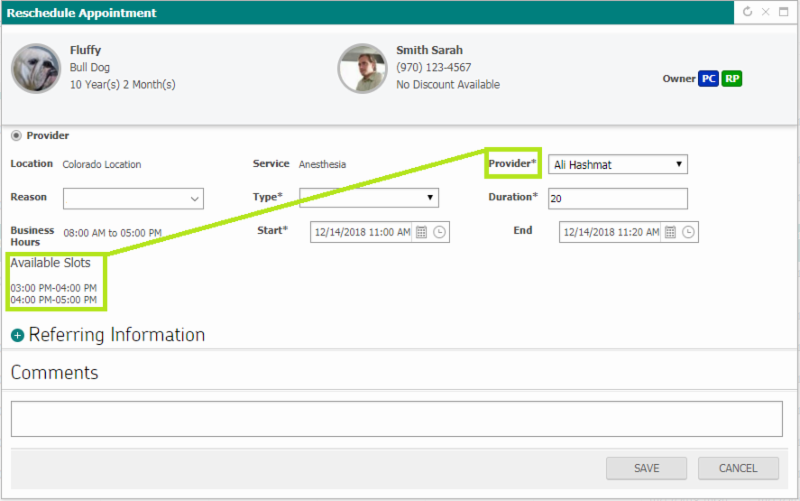 Setting open business hours in the scheduler will keep those selected hours reflected in the view of the scheduler across the practice. This will allow for an easier view of the appointments lined up for a given day (as you’re only viewing legitimate business hours) and will also help prevent appointments being mistakenly scheduled at incorrect times. To enable this feature, navigate to Settings > Admin >> My Practice >>> Practice. Select the location to update, and you’ll see the options in the lower right hand section of that settings page. After putting these settings in place, you will see a notification in the scheduler when there are items scheduled outside of your normal working business hours. Up to 255 characters can be entered in these alert fields. After you’ve entered your alerts, these will show in two different areas within NaVetor: the client/patient banner (up to 50 characters), and the appointment hover-over in the scheduler (up to 255 characters). Once the invoice has been finalized, you can no longer delete items that have been paid. Therefore, this feature is only applicable to draft invoices. In order to keep track of all credits that have been applied to a given account, there is a new tab on the invoice screen called Credit History. The Credit History can be filtered by patient and current status of the invoice. Print an individual statement for a given client by navigating to Reporting > Client Reports >> Client Statement Report. At that point you’ll be able to select the appropriate practice location as well as search for the client for whom to generate an individual statement report. Coming Soon … Stay Tuned for These Future Enhancements! ePetLite, offering automated electronic communications to clients around special occasions and appointment/service reminders. Declined Vaccine Tracking, which will be tied into the SOAP process. Online Appointment Booking through your practice website.